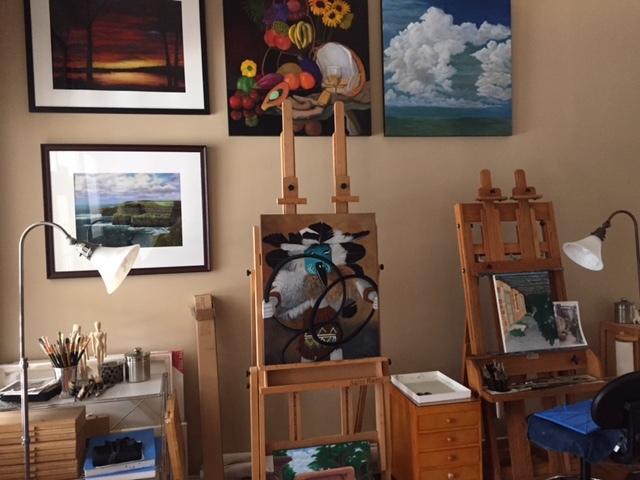 art studio focused on creating one-of-a-kind fine art pieces. Whether capturing moments in time, celebrating friends or loved ones, remembering that special event or trip with commissioned works or simply purchasing or gifting an artwork you have fallen in love with from our charcoal, pastel or oil galleries. The artwork will give years of pleasure and create unique heirlooms to pass on. We would be happy to work on custom pieces. All portraits are created from photographs that you provide to us. Or, if you are local we can take photos for you. Most portraits are done in charcoal and the price is dependent on size and number of people in the portrait. We would love to hear from you so we can provide an heirloom that can be passed down through generations to come! We can also create a painting that will memorialize a trip or a location where you have travelled. Send us a photo and we will create the artwork!